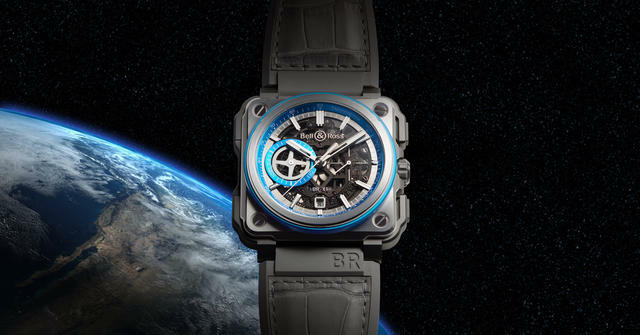 Ever since Carlos Rosillo and Bruno Belamich joined forces to create Bell & Ross in 1992, the company has built its reputation making highly legible, water-resistant and functional timepieces. While most Bell & Ross designs hew to military or aeronautical themes, more than a few also attract those who simply enjoy a fast engine, whether it powers two or four wheels, or blasts a rocket into orbit. 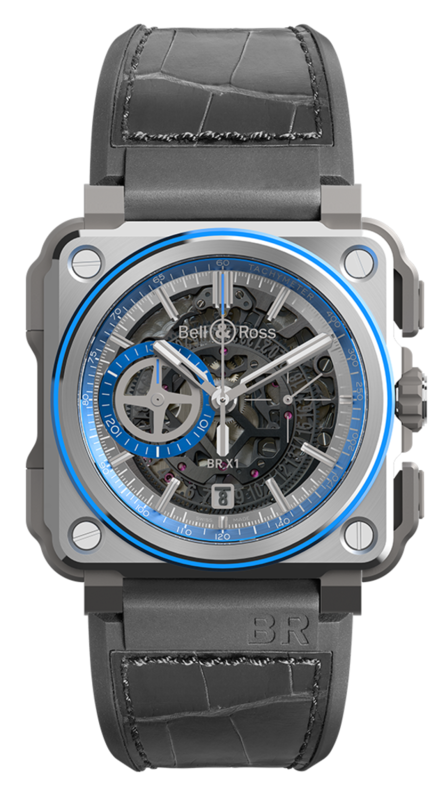 Bell & Ross CEO Carlos Rosillo spoke with International Watch recently to discuss the future of selling analog in a digital world. Who is the Bell & Ross customer? 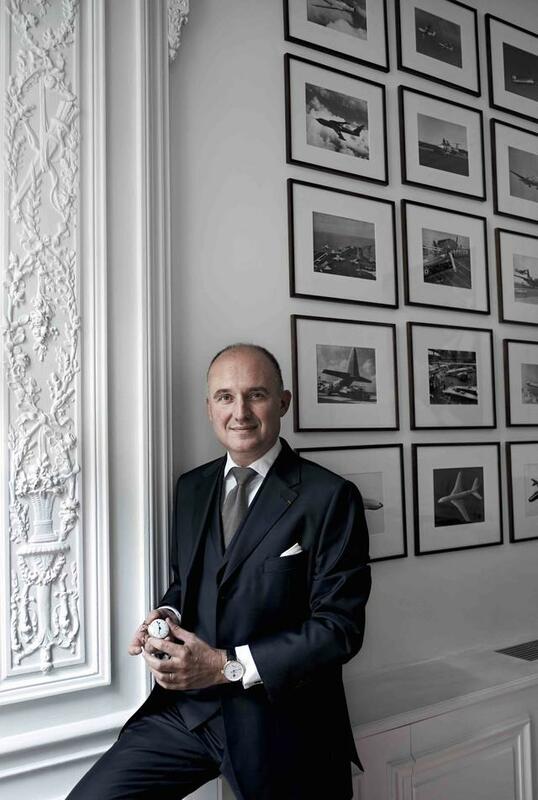 The Bell & Ross customer has always been and will continue to be the man who is influenced by aviation no matter his age. He is the man that identifies with the world of professional users in our three universes: sea, land and sky. Today we are a global brand present in the most important retailers worldwide, but as our brand continues to grow we are interested in developing smaller markets. There is still plenty to conquer! How does Bell & Ross attract new, possibly younger consumers to the brand? We anticipate many of our customers’ future purchases will be through our e-boutique. This means it is very important for us to grow with the times so we can stay relevant. For example, our e-boutique is accessible on multi devices such as desktop, tablet and mobile. We are also very active on social media because we see how it is a strong tool to reach the younger generation. At Bell & Ross we have always understood that the Internet and websites were/are the way of the future. We were one of the first brands to have an online e-boutique (since December 2009) and because of this thought process is also why we have invested so much into our website. Now the Bell & Ross e-boutique is present in more than twenty countries in Europe, the U.S. and Asia, and more are to be open. The new, younger generation of Internet savvy customers is much more disposed to purchase luxury products online rather in the physical stores. One great benefit is that online retailing allows brands to bring their product to areas where your brand does not have a great presence or point of sale. Moreover, we look to be closer to our customers as they can find the entire Bell & Ross collection of watches and accessories available on our e–boutique, which is not the case in a normal point of sale. What strategies might be put in place to mitigate the effect of non-authorized points of sale - especially on the web? One of our strategies is our Bell & Ross e-boutique, which allows us to be very successful as an online retailer. On our e-boutique we can offer exclusives that customers cannot find anywhere else; it also allows us to reach costumers in remote places where we do not have a retailer carrying our brand. Another measure we have taken is to try to make sure that our prices are the same all over the world. 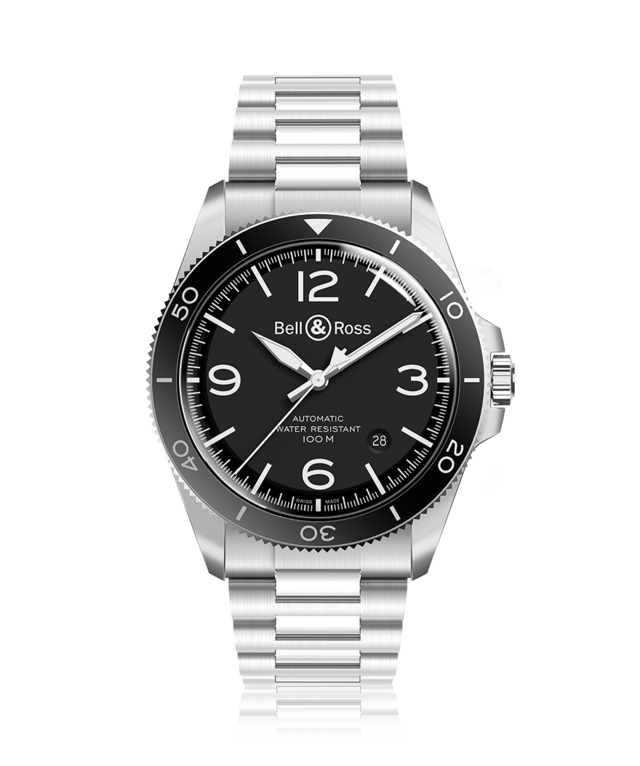 Adjusting the differences created from the exchange rate so there is no reason to look to buy in any other place than directly from your local Bell & Ross dealer or e-boutique. A couple of weeks ago we reduced U.S. prices to some of our references precisely to achieve this. At the same time, this helps to avoid the practice of trans-shipping that takes advantage of the differences in the exchange rate. In other words, it’s important to make sure we keep prices consistent worldwide. We also monitor Internet sales of the grey market checking product serial numbers to be sure our authorized retailers are not feeding these markets. 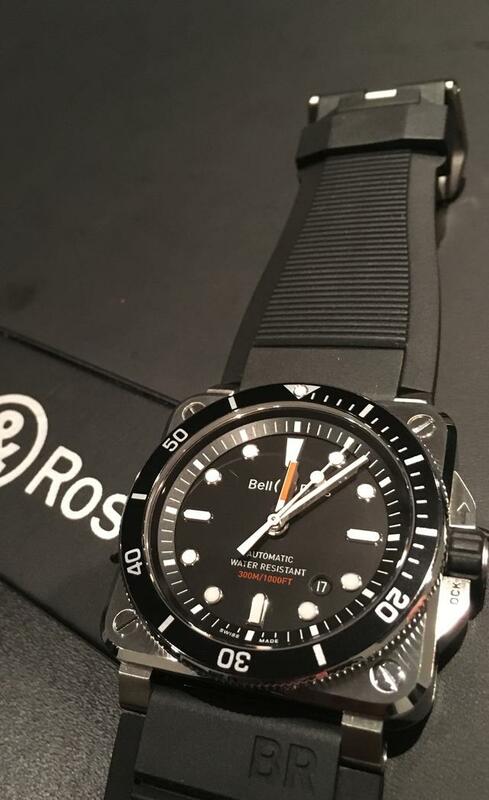 Thankfully, at Bell & Ross we do not have a huge inventory and the volume of watches we provide to stores is always very limited, this helps us to control the secondary market. We are aware, that the problem of the grey market exists and are very active in taking measures to make a fair marketplace. What is the Bell & Ross stance on the rampant stampede to wearable tech devices? 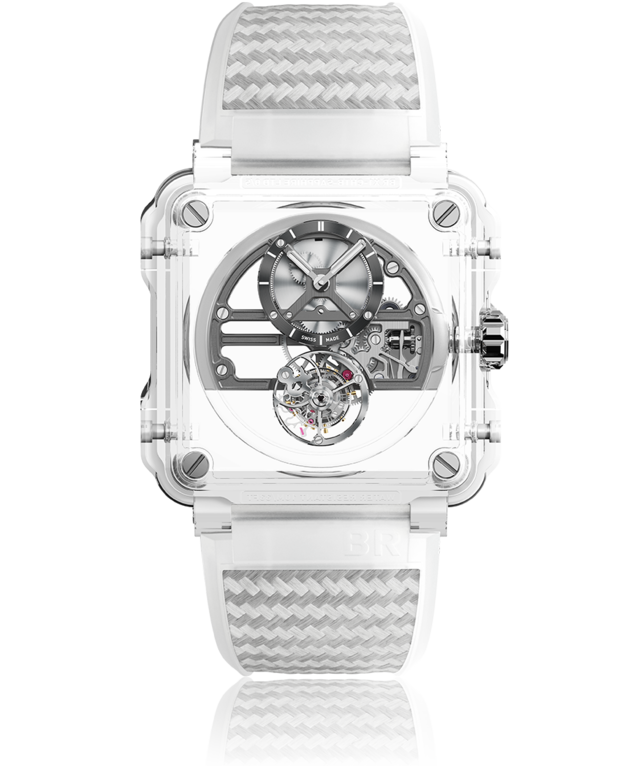 We believe the “wearables” are a completely different experience than a traditional timepiece. Swiss watches have emotion. It is a craft to make a watch. There is history, tradition and craftsmanship in the production of a movement and ultimately in the quality of the final piece. Over time, a watch keeps its value; often it even increases in value because of the beauty of the craft. The tech devices with time become obsolete because their design is constantly being reinvented and the technology upgraded. In the future, it could be possible that we would incorporate some sort of technology into our watches, but our brand will always be Swiss made and we will never create a disposable watch.